Once more the W:O:A® 2012 which was "SOLD OUT!!!" long before the actual beginning has been an unforgettable experience for all who took part. Some ten thousand fans had the party of their life in union with the village inhabitants and lots of curious and open hearted spectators. 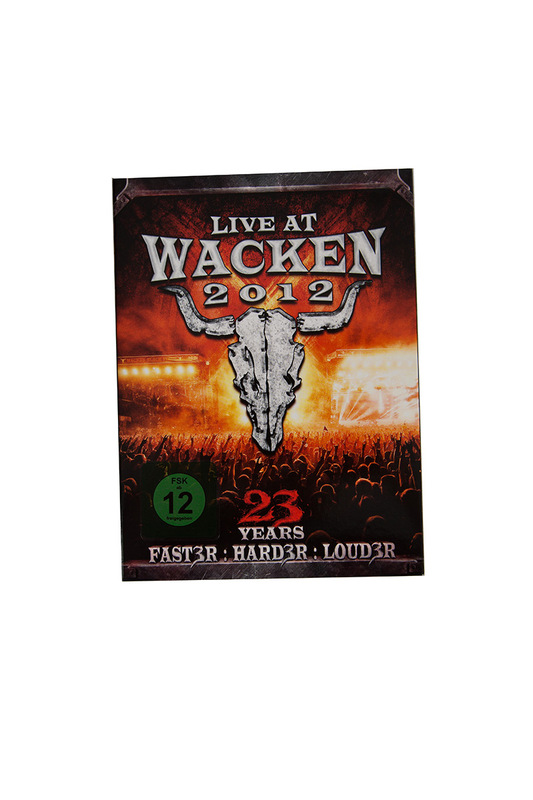 This giant festivity was accompanied by a tremendous load of fantastic bands on whose performances the main focus lies for the "Live at Wacken 2012" triple DVD. Direct and straightforwarded we end up in front of the stages where so many artists from all rock and metal related genres give us the best possible entertainment. TESTAMENT, HAMMERFALL, THE BOSSHOSS, EDGUY, VOLBEAT, SAXON, CRADLE OF FILTH and OVERKILL as some of the biggest acts rock you to pieces and leave you all with burning hearts and simmering souls vibrating in the highest frequency of joy. 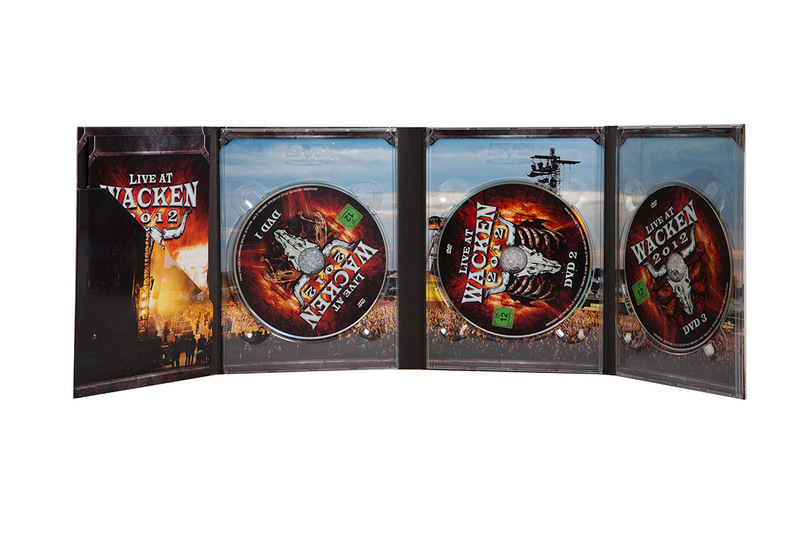 This triple DVD offers 240 minutes of music divided into 48 songs by 24 bands with a bit of bonus material included for the good measure leaving the fan trembling in a blissful state. The screenwidth can be adjusted between 16 : 9 and 1,78 : 1 formats and joins forces with a great dolby surround sound for the perfect DVD experience. All fans from the age of 12 onward whose DVD player works with region code 2 DVDs get into a majestic cinematic adventure with a perfectly authentical atmosphere as if they were there right at the moment. Absolutely amazing.